Reinforced Plastics will be exhibiting on stand number E60 in Hall 10-11. We look forward to seeing you there. 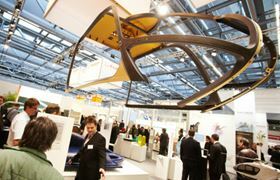 COMPOSITES EUROPE takes place on 14-16 September at the Essen Exhibition Centre in Germany. For a first look at what's on display see our show preview.